3 Bedroom Detached House For Sale in Gravesend for Guide Price £300,000. 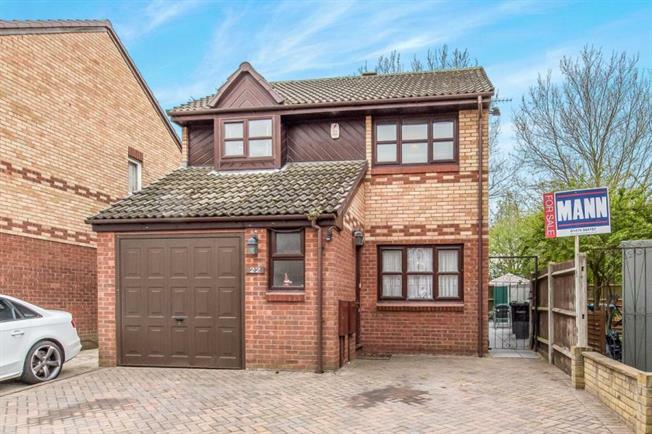 Situated in a quiet cul de sac and well presented throughout is this 3 bedroom detached house which offers a large drive and garage. The accommodation comprises entrance hall, downstairs WC, lounge/diner, kitchen and conservatory with access onto the garden. To the first floor there are 3 bedrooms and a family bathroom. The garage has been divided with 3/4 now forming a store room. Call now to view!